First, we regain an open mind. Rather than telling humanity’s history from a dogmatic and one-sided perspective, and assuming that our past existence in the universe is predominantly a “random accident,” we remember that there are many highly predictable things about our universe, such as classical mechanics, the laws of thermodynamics, and accelerating change. This allows us to present life’s story as a mystery: What parts of its emergence are very highly probable, or statistically predetermined? What parts are improbable accidents? We lose our blind faith that neo-Darwinism explains all of life or the universe, and we realize that there appears to be a balance between evolutionary experiment and developmental predetermination in all things in the universe, as in life. On the contrary, developmentalists suspect that many or all of the things we hold most dear about humanity, including our brains, language, emotions, love, morality, consciousness, tools, technology, and scientific curiosity, are all highly likely or even inevitable developments on Earth-like planets all across the universe. This kind of thinking, looking for our universals as well as our uniquenesses, moves us from a Western exceptionalism frame of mind to one that also includes an Eastern or Buddhist perspective. We may not only be unique and individual experiments, but we may also be members of a type that is as common as sand grains on a beach, and instruments of a larger cycle of universal development and replication. Third, we lose our unjustified fearfulness of and pessimism toward the future, and replace it with courage and practical optimism. The evolutionary accident story of humanity teaches us to be ever vigilant for things that could end our species at any moment. Vigilance is adaptive, but fear is usually not. We are constantly reminded by evolutionists that 99% of all species that ever lived are extinct (yes, but they were all necessary experiments, and their useful information lives on), and we live in a random, hostile and purposeless universe (no, we don’t). Evolutionists conveniently forget that the patterns of intelligence in those species that died are almost all highly redundantly backed up in the other surviving organisms on the planet. Life is very, very good at preserving relevant pattern, information, and complexity, and now with science and technology, it is getting far better still at protecting complexity and resilience. When we study how complexity has emerged in life’s history, we gain a new appreciation for the smoothness of the rise of complexity and intelligence on Earth. Every catastrophe we can point to appears to have primarily catalyzed further immediate jumps in life’s accelerating intelligence and adaptiveness at the leading edge. Life apparently needs regular catastrophe to make it stronger, and it is resilient and antifragile beyond all expectation (See Nick Taleb’s Antifragile (2014) for more on that concept). What causes this antifragility? Apparently a combination of evolutionary diversity and developmental immune systems. We undervalue the former, and remain mostly ignorant of the latter, for the time being at least. If the universe is developmental, we can expect it has some kind of immune systems protecting its development, just as living systems do. The more we are willing to consider the idea that the universe may be both evolving and developing, the more we can open our eyes to hidden processes that are protecting and driving us toward a particular, predetermined future, even as each individual and civilization on Earth and in the universe will take its own partly unpredictable and creative evolutionary paths to that developmental future. Then we can get busy helping those systems get stronger, intelligently “vaccinating” them and building their capacities, rather than randomly, wastefully, and far too fearfully responding to life’s catastrophes. Fourth, we gain a tentative understanding of universal purpose. Talk of purpose legitimately scares most scientists, who are so recently free of state-controlled religion interfering with their work. They claim they don’t want to return to a faith-based view of the world, but we all must have, and should constantly revise and keep parsimonious, our own personal set of faiths. For example, our scientific axioms are all useful faiths about how the world works. Human reason and intuition, no matter how powerful they become, will always be computationally incomplete. Unexamined faiths are of course the most dangerous kind. Evolutionists put a lot of unexamined and unrecognized faith in their purposeless universe model, so much that it blinds them to the value of admitting uncertainty on this question. Many scientists attack hypotheses of universal teleology wherever they find them – even as they live in a world that they clearly know is predictable in part. We must call that stance hypocrisy, as predictability is a basic form of teleology, or purpose. Evolutionary and behavioral psychologists are now proposing biologically-inspired scientific theories of human values. For more on that I recommend Sam Harris’s The Moral Landscape (2011), which I’ve reviewed on my blog. But most of this work still is not deeply biologically-inspired, as it remains focused on evolution, ignoring development. We must recognize that a better understanding of universal evolution and development must help science derive more useful and more universal evolutionary and developmental values. I believe it is both the best definition and the purpose of humanity to use technology to continually reshape us, individually and collectively, into something more than our biological selves, and to do this in as deliberate and ethical a way as possible, using both evolutionary and developmental means. We can further realize what appears to be our universal purpose to think, feel, act, and build in ways that maximize our intellectual and emotional intelligence, advancing our minds and our hearts. Talk of purpose legitimately scares most scientists, who are so recently free of religion interfering in their work. They claim they don’t want to return to a faith-based view of the world, but we all must have, and should constantly revise and keep parsimonious our own personal set of faiths (for example, our scientific axioms), as human reason and intuition, no matter how powerful they become, will always be computationally incomplete. Unexamined faiths are of course the most dangerous kind. Evolutionists put a lot of unexamined and unrecognized faith in their purposeless universe model, so much that it can blind them to the value of admitting and exploring the unknown. Many scientists attack hypotheses of universal teleology wherever they find them – even as they live in a world that they clearly know is predictable in part. We must call that stance hypocrisy, as predictability is a basic form of teleology, or purpose. Evolutionary and behavioral psychologists are now proposing biologically-inspired scientific theories of human values. I recommend The Moral Landscape, by Sam Harris (2011), which I’ve reviewed on my blog. Most of this work still is not deeply biologically-inspired, as it remains focused on evolution, ignoring universal development. We must recognize that a better understanding of universal evolution and development can help science derive more useful and more universal evolutionary and developmental values. I believe it is both the best definition and the purpose of humanity to use technology to continually reshape us, individually and collectively, into something more than our biological selves, and to do this in as deliberate and ethical a way as possible, using both evolutionary and developmental means. We can further realize that it appears to be our universal purpose to think, feel, act, and build in ways that maximize our intellectual and emotional intelligence, advancing our minds and hearts. Fifth, we recognize that very important parts of the future are predictable. This benefit is the most useful to me as a foresight professional. Increasingly, we find foresight practitioners who accept the likelihood of developmental futures. Consider Pierre Wack at Royal Dutch/Shell’s foresight group, who proposed the inevitable TINA (There Is No Alternative) trends in economic liberalization and globalization in the 1980′s. Or Ron Inglehart and Christian Welzel, who have charted the inevitable developmental advance (with brief and partial evolutionary reversals) of evidence-based rationalism and personal freedom in all nations over the last 40 years (see WorldValuesSurvey.org). Some leading recent books arguing for the inevitability of certain kinds of social development are Robert Wright’s Nonzero (2000), on positive sum rulesets, Steven Pinker’s The Better Angels of Our Nature (2012), on violence reduction, and Ian Morris’s, The Measure of Civilization (2013), on the predictable dominance of civilizations that are leaders in energy capture, social organization, war-making capacity, and information technology. There are still far too many professional futurists who confidently and ignorantly claim that the future is entirely evolutionary (“cannot be predicted”). But a growing number of leaders, strategists, and futurists see regionally and globally dominant trends and inevitable convergences, make good predictions, and use increasingly better data and feedback to improve their models. 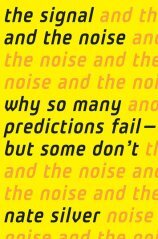 For some good recent books on this, read Nate Silver’s The Signal and the Noise: Why So Many Predictions Fail But Some Don’t (2012) and Philip Tetlock’s excellent Superforecasting: The Art and Science of Prediction (2015). As we learn take an evolutionary developmentalist perspective, at first unconsciously and later consciously, and use powerful new collective and machine intelligence foresight tools and platforms, we will greatly grow our predictive capacity in coming decades. More of us will foresee, accept, and start managing toward the ethical emergence of such inevitable coming technological developments as the conversational interface and big data, deeply biologically-inspired (evo and devo) machine intelligence and robotics, cybertwins/digitwins and the values-mapped web, lifelogs and peak experience summaries, the wearable web and augmented reality, teacherless education, internet television, and many other new platforms for collective intelligence, information-generation, innovation, interdependence, and immunity production. Professional futurists and forecasters are now developing our first really powerful tools and models that will keep expanding our prediction domains and horizons, and improving the reliability and accuracy of our forecasts. I believe evolutionary developmentalism is a foundational model that all long range forecasters and strategists need to embrace. Not only must we realize there are possible and preferable futures ahead of us, but we must be convinced that there are inevitable and highly probable futures as well, futures which can increasingly be uncovered as our intelligence, data, and methods improve. Such an effort, at a species level, is the only way we can map what remains truly unpredictable, at each level of our collective intelligence. Convergent evolution is one of several fields that will win lots of converts to developmentalism as it advances. Astrobiology will likely also play a big role, if it shows us just how common our type of life is in the universe, as many suspect it will. So too will any field that finds evidence and argument for both evolution and development. But we’ve got a long way to go before modern science is willing to give the developmentalist perspective the same consideration and intellectual honesty that we presently give the evolutionist perspective. A lot of papers will have to be published. A lot of arguments will have to be made, and evidence marshaled. Courageous scientists will have to build the bridge from the developmentalist aspects of physics, chemistry, and biology to the highest aspects of our humanity, our ethics, consciousness, purpose, and spirituality. So let’s keep up the good work, as the benefits of a more scientific and evo devo approach to foresight will only keep growing in value. For a more detailed treatment of evolutionary developmentalism, with references, you may enjoy my précis, Evo Devo Universe?, 2008 (57 pp.). For one speculative proposal on where accelerating change may take intelligence, as a universal developmental process, see my paper, The Transcension Hypothesis, 2012, (19 pp.). Life apparently needs regular catastrophe to make it stronger, and it is resilient and antifragile beyond all expectation — indeed.______ Nick Taleb puts it that “wind extinguishes a candle and energizes fire.” What causes this antifragility?_______ Infinity does. Life is an infinite potential in a finite world. Life has been very, very good at preserving relevant pattern, information, and complexity – as long as we were still a part of the Biosphere, without too much science and technology. He doesn’t take an extension of the antifragility principle to biology (the preservation of a species) as strongly as he should, though – perhaps an idea for his next book.